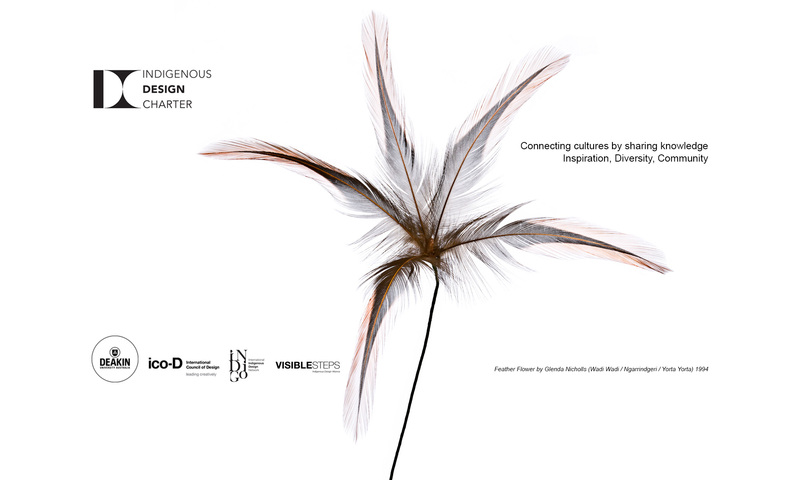 The International Indigenous Design Charter is a self-regulated, best practice guide. It supports existing policies, procedures and protocols that ensure the rights of Indigenous stakeholders, including their intellectual property rights and emphasizes the crucial right to fair and informed negotiation and remuneration. The document does not claim to be the definitive answer to appropriate representation of Indigenous culture in communication design. Instead it aims to encourage a climate of learning through active practice to guide designers to produce informed, authentic and respectful outcomes in the future. The International Indigenous Design Charter aims to help facilitate accurate and respectful representation of Indigenous knowledge in design and associated media. The Charter can also be used by designers to promote understanding with their clients and buyers of design. This includes governments, corporations, businesses and not-for-profit organisations. The Charter is a cultural innovation tool but designers must understand that co-creation and the sharing of Indigenous knowledge must be undertaken responsibly. The cultural protocols in this Charter recognise the diverse cultures and traditions of Indigenous people worldwide and suggests that appropriate representation is best achieved when effective and respectful partnerships are established between relevant stakeholders. The International Indigenous Design Charter, created byDeakin University has the support of ico-D, the International Council of Design.